I got a chuckle when I heard about this on the radio today. 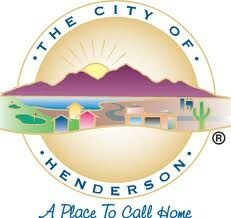 The City Manager of Henderson wants to change the city's logo because ................... "it looks too much like a hamburger." I don't know what all the squawking is about. Sure, the logo looks like a hamburger, but it isn't that expensive to make a new one. I made one for them and it has been approved. Posted: Jan Tue 15, 2013 11:28 am Post subject: Nice work! The citizens will love it. No mistaking that one. Congrats on your commission. I love the new logo. You did a great job, but I hope it is Kosher. Posted: Aug Wed 28, 2013 6:56 pm Post subject: Question? But do they have a good Burger? That's the Question?